Exhibition artists: Alexei Shulgin & Aristarkh Chernishev (RU), Olia Lialina (RU / DE), Dragan Espenschied (GER), Cécile Babiole (FR), Heath Bunting (UK), Robert Sakrowski, Constant Dullaart / net.artdatabase.org / (GER), Rasa Smite, Raitis Smits & Xchange / E-Lab / RIXC (LV), Lamberto Teotino (IT), Benjamin Gaulon, Karl Klomp, Gijs Gieskes & Tom Verbruggen / ReFunct Media (FR/NL), JODI (NL), Parag Kumar Mital (USA), Evan Roth (UK/USA/FR), Andris Vetra, Artis Kuprish (LV). The exhibition will present 16 media artworks, both, of historical meaning and brand new experiments and discoveries, created by internationally renowned media art pioneers who continue to be active and innovative in the field also today. 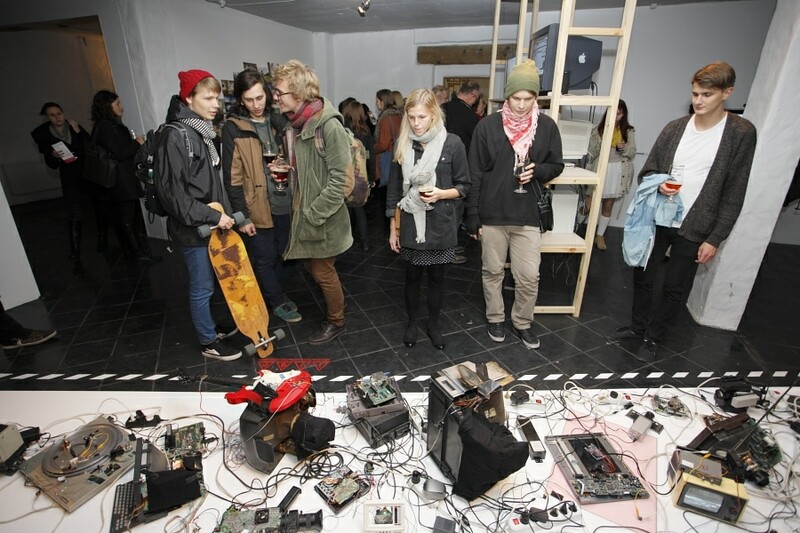 Some of the artists participating in the exhibition have tried to explore the opportunities of antiquated technologies, some have challenged the former understanding of relationships between people and technologies, some have tested new methodologies in creating mosaics of image and sound (such as smash up process), some have explored the effects and opportunities of the signals of defective electronic devices, some have focused attention to the issues of the author’s rights and intellectual property, but some others offer an opportunity to see the popular networking services Facebook, Youtube and Google through the eyes of the computer technologies of 1990ies. Instead of being passive observers, visitors of the exhibition will be active participants of an interactive learning process. Everyone interested will have a chance to create ones own unique artwork with the Artomat (the automat of art) and ones own online art gallery.